First of all – what’s in the box? The only thing missing here is a pouch – but at £17, one can’t complain that much, it’s just something I would have liked to see, especially knowing that these earphones are designed for on-the-go use. The box contents and accessories get a 9/10 – again, only the pouch is really missing here. 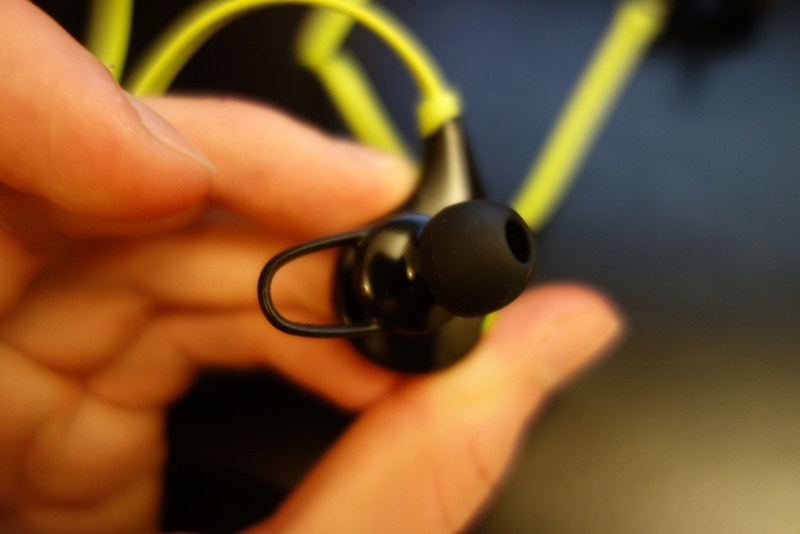 The build quality of these earphones is very good – top to bottom, I really like what Soundpeats have done here. Starting from the wire itself, it’s designed to be tangle-free, and this comes from the fact that the wire that comes with the earphones is a flat-cable. This would usually also mean that you get cable noise (microphonics), but as the wire is very short and that the cable would naturally be placed under a shirt and behind your back, it’s not a big deal. Thus, the cable really does get a huge thumbs up from me, due to the fact that it doesn’t tangle. 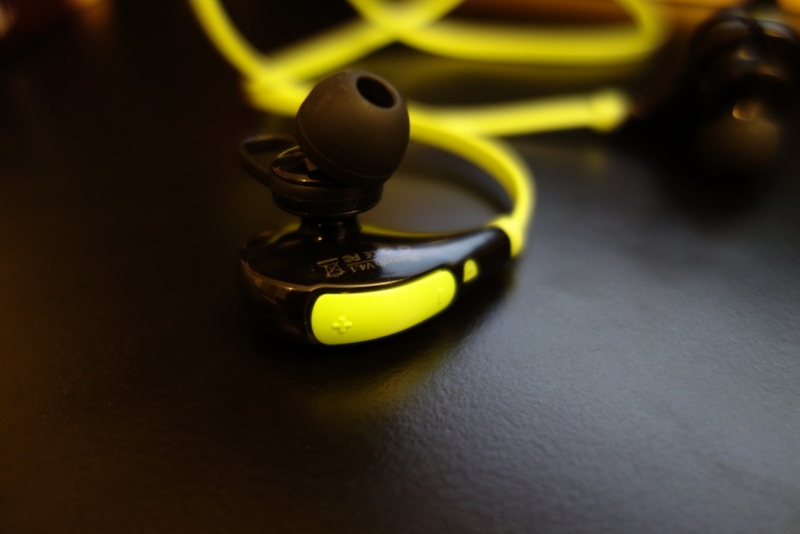 Furthermore, the cable noise is extremely minimal and that makes it sport-worthy – by that I mean you won’t be disrupted by any cable noise whilst doing physical activities with your earphones in-ear. Moving on from the wire, and straight to the earphones themselves. The left earphone takes the charge via a microUSB slot located by the earphones – my only complaint here is that the “cap” protecting the microUSB hole is a little flimsy – over a period of usage, I see this cap falling off, due to the stresses it will be under. As we move to the right earphone there’s a lot more going on – with the volume adjustment located on the body of the earphone and also the multifunctional key that is used to turn on, pair (via Bluetooth), and answer/hang-up calls. Finally, there’s also a small mic hole, that’s used to mic up your voice in calls. Overall all these functionalities make a great combo. As you already know by now, these are Bluetooth earphones, which means that the earphones are limited to what battery they have on-board – in this case the battery can be recharged and lasts about 8hrs (give or take on your interactions with the earphones – ie. answer calls, skip music etc). I should state that the battery recharge time is rather quick. 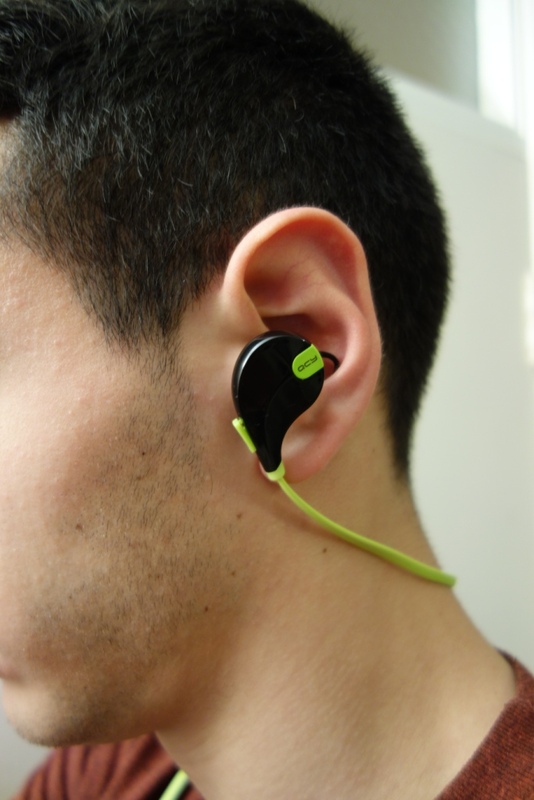 The earphones do a decent, although not perfect job in the way they communicate with the given Bluetooth source – by that I mean, that they have an effective range of 10m (in clear sight of the source), or around 5-8m through walls. 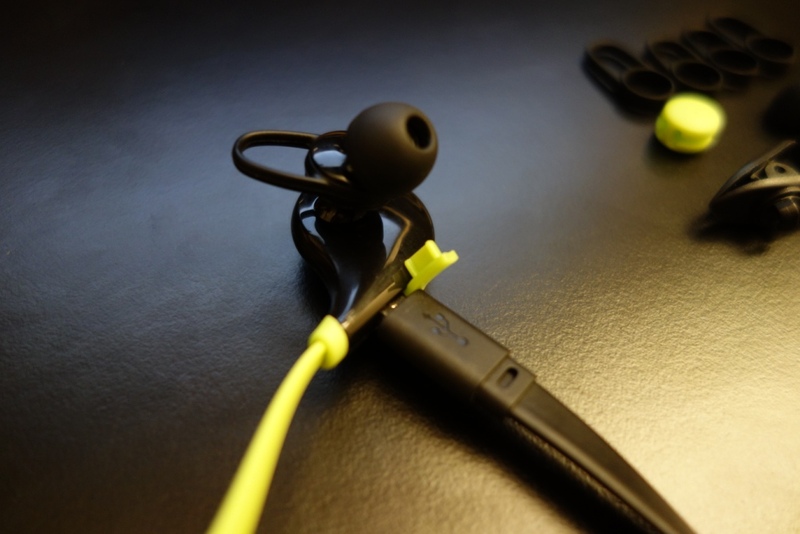 This means you can’t go too far from the earphones, without worrying about them disconnecting – you will definitely not be able to use this on the second floor, whilst your source is located on the first floor. Despite its lower-reach Bluetooth range, the transmission quality is absolutely excellent – I would say CD quality (although I can’t see it stating aptX, but it sure sounds like it) – there was noticeable drop in quality over Bluetooth, meaning you can enjoy high quality playbacks on the QY7. Finally to round off the build quality section – I really love the lightweight nature of these earphones. They’re super light and therefore sit in your ears quite comfortably – despite being quite large in size, they’re surprisingly light (due to their plastic construction). Therefore they are very much comfortable to wear. 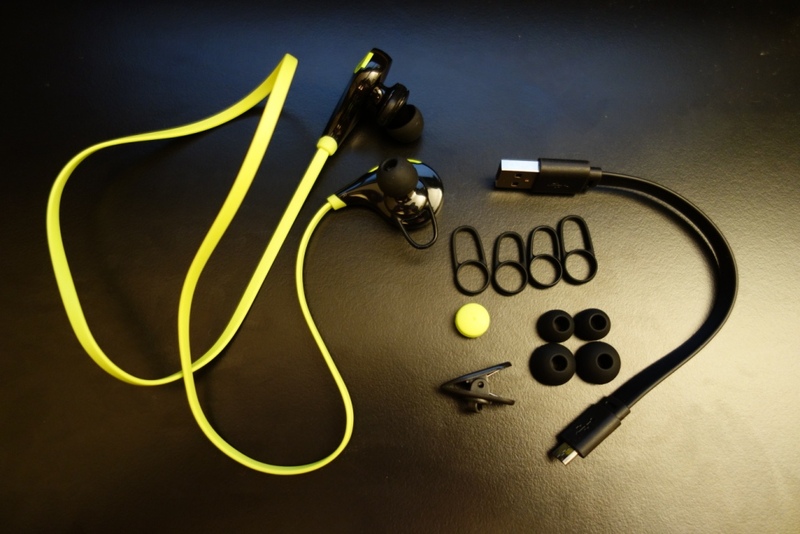 Overall, I can’t fault the earphones, especially at their price – thus it gets a full 10/10. I really like what they’ve done with the design and looks of the earphones. 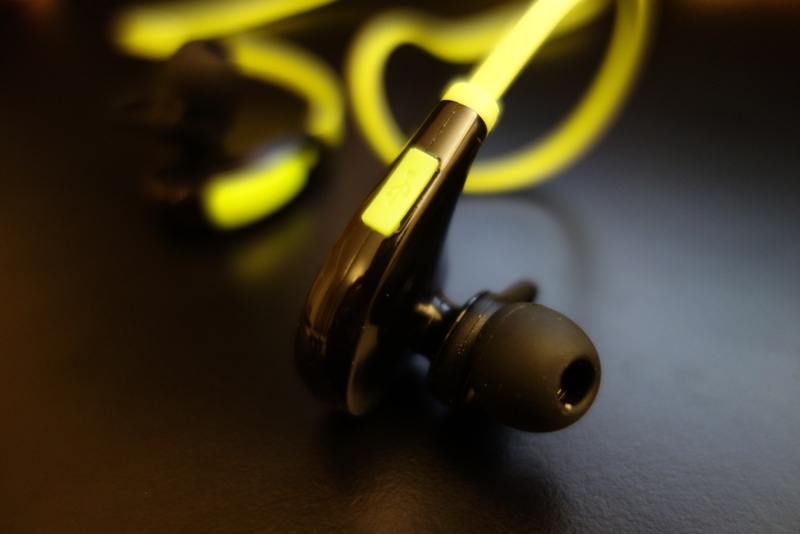 I looks cool, and is designed very well, to the point that there was no real flaws with the earphones – apart from the fact that the left and right indicator on the earphones are both quite hard to see (they’re faintly written on the body of the earphones). Other than that, regarding design, these earphones are meant to be worn straight-down, thus not over-the-ear. This section easily got a 10/10 from me too. Now moving on to its sound quality, the most important part of this review. 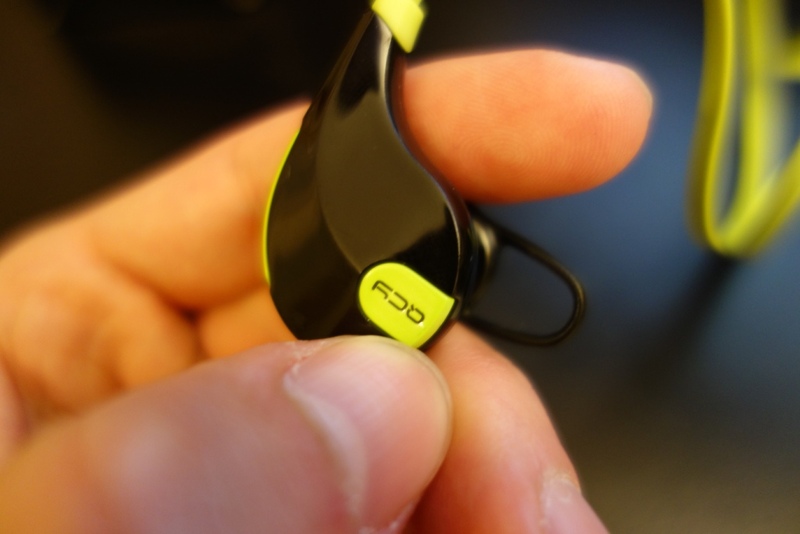 The audio quality really surprised me, not only at its given price range, but generally speaking, they were very good. The lows were very much accentuated, by being a little boomy, with the mid-bass having a huge slam and the sub-bass having an excellent extension into those low-end tones. Due to the emphasis on the lows, especially the mid-bass, the mids take a little hit, and thus sound a little pushed back/veiled, thus giving a V shaped sound signature to the earphones. The highs on the other hand are actually well extended and provide a nice sparkle to the earphones. 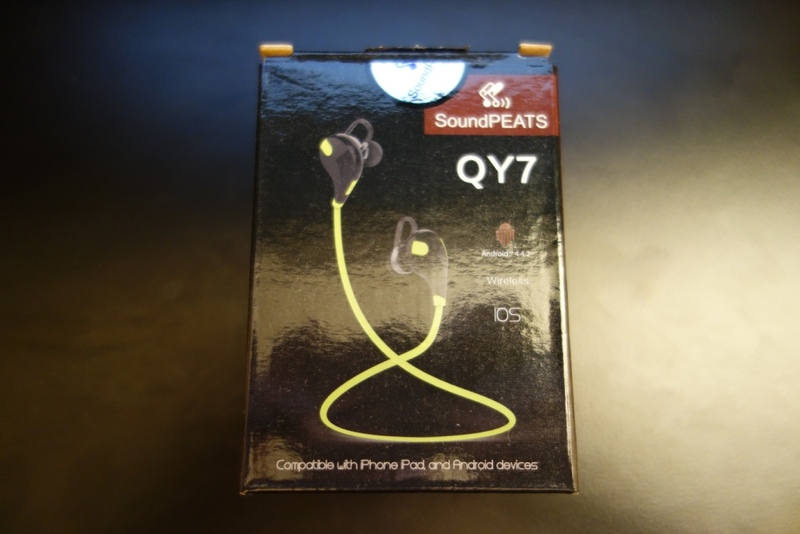 Finally, the soundstage is what I really feel completes the overall sound quality of the earphones – by being non-congested, the QY7’s sound just perfect for instrument separation and depth/width of sound. Overall, I give the audio quality 8/10. I should also mention that the recording quality is a solid 9/10, it’s clear and the call quality doesn’t have any sort of interference or problems. Finally, to round this off, I should mention that the isolation is decent, although not perfect. Due to their design they naturally block out quite a lot of background noise, however as they’re just in-ears that aren’t really “fitted” (I don’t mean custom), thus can’t block out all external noises. I give the isolation a very respectable 8/10. In conclusion, these earphones are absolutely excellent – I really love them top-to-bottom. The biggest shock I had was the overall sound quality of the earphones, which was extremely good at £17, let alone if they were priced at around £40. That’s not even mentioning its design, looks and Bluetooth functionalities (which often adds quite a bit of a premium to the price)! My only “complaint” would be that you can only use them for around 8hrs – in other words, due to them being wireless and used via Bluetooth, you’re locked into how long they can last, which is somewhat disheartening as they sound great! I would definitely recommend these, especially for active people, where those strain reliefs come into play and help keep the earphones within your ears. Overall, I give them a value rating of 10/10 and a final rating of 10/10. You really can’t go wrong with these! Looks like they are on sale on Amazon at the moment for 30 dollars! Thanks for the review! This helped me make the buying decision. Thanks for finding the best budget earphones after 2 days of looking. just abit concerned about fakes on the market, the ones you review had ”QCY” on the back while the ones on amazon have a music symbol? No worries! And yes those are the originals, at least the most common ones. Others out there are OEMs, most of the time just utilising the same driver design and build, just a different brand. I think it stops working after 15 days, during charging red light is blinking continuously and battery is not charging. How do we get to know that its fully charged?? it turns blue when fully charged.